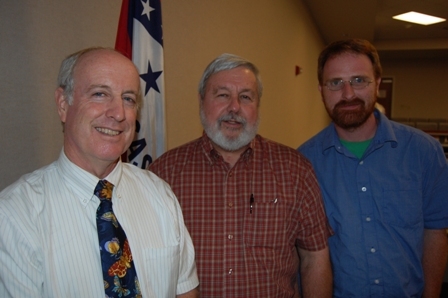 An evening lecture by the popular ecologist Douglas W. Tallamy was standing room only September 30 at the fall conference of the Arkansas Native Plant Society. Using dramatic data, stunning photographs, and a carefully pitched blend of humor and motivation, Tallamy told society members they can help restore biodiversity by using native plants in their home gardens. Tallamy is the author of Bringing Nature Home (Timber Press, 2007) and an ecologist at the University of Delaware. Faulkner County Master Gardeners, Wild Birds Unlimited, and Audubon Arkansas co-sponsored Tallamy’s lecture. Pine Ridge Gardens, Joyce Hardin, and Jane Gulley also supported his appearance. 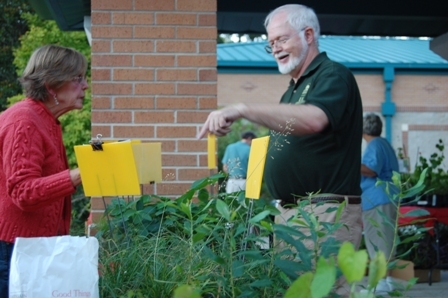 The University of Arkansas Cooperative Extension Service provided the auditorium as well as an outdoor area for a plant sale. This entry was posted in Chapter Meetings, Community Event and tagged Arkansas Native Plant Society, Bringing Nature Home, Douglas Tallamy. Bookmark the permalink.